Performers from Birmingham-based theatre group, Stan’s Café are staging performance art show, Of All the People in All the World, in Inner Temple Hall. Dressed in smart tradesmens’ coats they measure out quantities of rice, which they pour into neat piles on the floor to represent abstract statistics, ranging from the six people who died during the 1666 blaze, to the number of people who voted in the EU referendum and the number of people born in the world each day. The biggest pile, spread across the top of the hall, represented the number of refugees around the globe who are displaced from their homes. The figures to which the rice grains correspond are not written anywhere in the installation. Actor, Sarah Archdeacon, explains that is so that visitors can ‘experience the statistics visually and understand them in a different way’. One person is represented by each grain of rice, and as a ready-reckoner, 6o grains of rice weighs one gram, while one tonne equates to 60 millions souls. Handily for the diligent performers, a 25kg sack would represent 1.5 million people. As the fire started at a baker’s in Pudding Lane, and in an effort to bring the past and present together, one huge pile of rice represents the number of viewers who tuned in to watch the first episode of the seventh series of the BBC1’s Great British Bake Off (10.4 million, in case you were wondering). The work explores themes including immigration and legal aid. One theory about the fire of London is that it was started in a bid to rid the capital of the increasing number of immigrants that people wrongly perceived were taking over London – plus ca change! There is a pile of rice depicting the number of immigrants falsely rumoured to be marching towards the City and other much smaller piles reflecting the number of foreigners at the time of the 1639 census – among others there were two Poles, 24 Germans and 11 Italians. Of particular legal interest is the pile showing the number of people granted legal aid in civil cases in 2012/13, next to a pile about a third of the size, for the number in receipt of civil legal aid in 2013/14. Two stacks reflect the number of men and women in prison in England and Wales, next to a sorry mound for the number of children under 18 detained in youth custody and a huge heap representing prisoners worldwide. Two sad heaps next to each other represent those living in the Calais Jungle in July 2016 and the number of asylum seekers who entered the Uk in 2015. There’s a section with piles representing the judiciary, the number of solicitors and the membership of the Criminal Bar Association, as well as the members and benchers of Inner Temple. Going back further in history, three small piles represent respectively, the number of barons appointed to monitor King John’s adherence to the Magna Carta, the number of churchmen and barons named as counsellors to King John at the time of Magna Carta and those who witnessed the issue of Magna Carta in 1225. To mark the anniversary Temple Music Foundation has commissioned an opera, And London Burned, in recognition of the fact that the last flames of the fire were beaten out at Inner Temple, under the direction of its Royal Bencher, the King’s brother, James, Duke of York. The efforts of James and his men saved the Temple Church, where the opera will have its premiere at Temple Church on 27th October. A piece in the Inn’s year book, penned by the former reader and now treasurer of Inner Temple, His Honour Judge Cryan, notes how as refuges from the blaze headed out of the City, Fleet Street filled with people and carts. At the time, the Inn, he says, was thinly populated, due to the Long Vacation and fear of a return of the Great Plague of 1665, which had caused the cancellation of the ‘Summer Readings’, or lectures, for the second year running. As Cryan recounts, the students who were in residence barred the gates of the Inn against the ‘lawless crowd’ and refusing to let anyone in ‘unless there was a barrister present’. The Inn’s accounts show payments to its servants for watching during the fire and, Cryan notes, the Duke was permitted entrance and his efforts quelled the blaze. * Of All the People in All the World is in Inner Temple Hall until Sunday 4th September, 12-6pm weekdays and 12-8pm at the weekend. * Tickets for And London Burned, sponsored by JM Finn & Co, on 27th, 28th and 29th October, can be bought at www.templemusic.org/main-events or on 020 7427 5641. After 800 years, what is the verdict on the actions of the barons at Runnymede in 1215? The wheels of justice often turn slowly. Last Friday evening around 800 of the legal great and good attended Westminster Hall to witness the barons and bishops put on trial for treason 800 years after they forced King John to agree to the terms of Magna Carta, which limited his powers and paved the way for trial by jury. In the event, organised by the UK Supreme Court and the Magna Carta 800th Anniversary Commemoration Committee, the barons and bishops (who included coalition legal aid minister and Liberal peer Lord NcNally; Supreme Court Justice, Lord Clarke; former chairman of the Judicial Appointments Committee, Baroness Prashar; and Rt Revd Christopher Lowson, Bishop of Lincoln) were tried by three judges. 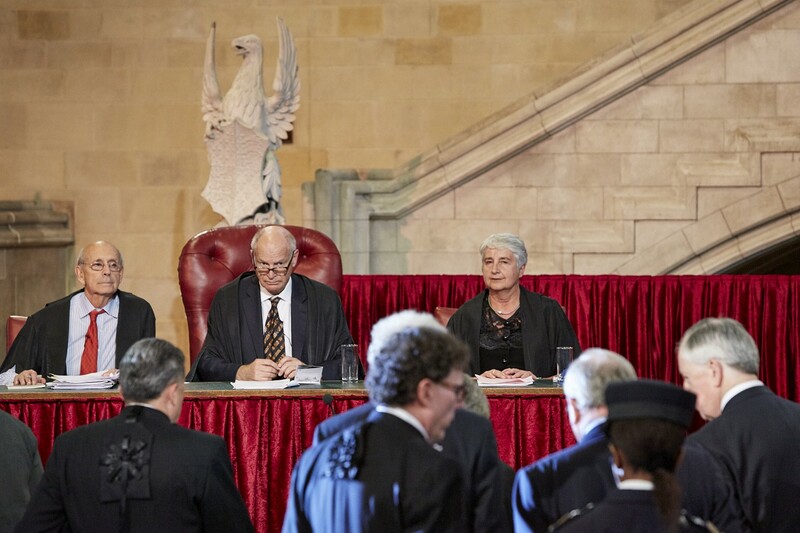 The tribunal was made up of Lord Neuberger, President of the Supreme Court, Justice Stephen Breyer of the US Supreme Court, and Dame Sian Elias, Chief Justice of New Zealand. Blackstone Chambers’ James Eadie QC, who acted for the government in the trial of Abu Hamza and in the dispute over the burial of King Richard III, put the case for the prosecution. While Landmark Chambers’ Nathalie Lieven QC presented the case on behalf of the barons. The BBC took centre stage, with newsman Gavin Esler narrating — slipping up slightly stating that the great Charter was sealed in 2015, before setting the record straight. 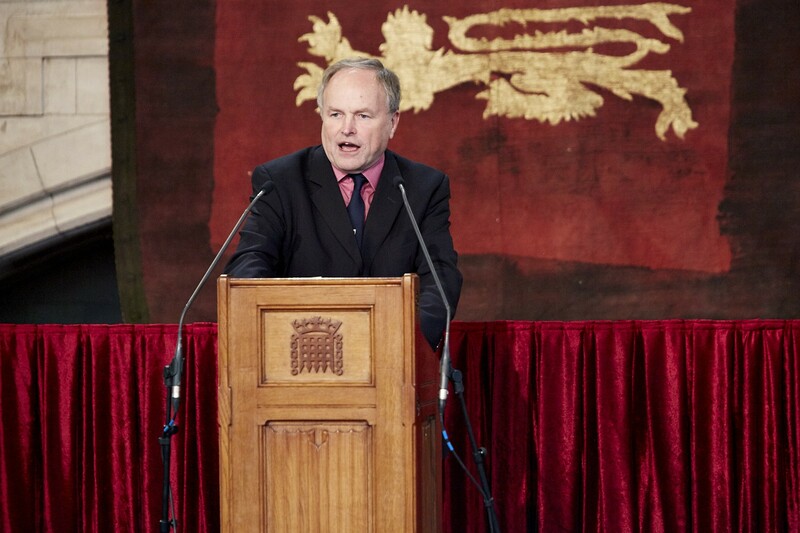 Former barrister and BBC broadcaster Clive Anderson stole the show – his ad-libs livening up the undoubtedly historically accurate, but sometimes wordy, script. The reference made by the defence to the King’s actions to limit access to the courts by charging huge sums to bring law suits, intentionally echoed the actions of the government today. And Eadie’s closing speech touched on the notion of having constitutional matters decided by a tribunal sitting in Europe and warned of the dangers of independent states within these fair islands. Former Lord Chief Justice, Lord Judge, played the part of intermediary William Marshal, the 1st Earl of Pembroke, who remained loyal to the King and who is buried in Temple Church. A highlight gleaned from the informative programme while the judges rose to consider their verdict was learning that someone at the Supreme Court holds the job title ‘messenger’. It was at one time held by Derek Allen, now an usher at the court, who played an usher, in the proceedings. As Big Ben tolled 9 o’clock the judges returned with the verdict – all agreed that the barons were not guilty. There are apparently three types of treason: lèse-majesté, unjustified threatening the King’s life or the betrayal of the realm or the army; proditio, unjustified default of duty which injured the King or any unjustified plotting against the King; and infidelitas, unjustified violation of an oath of fidelity to the King. In relation to each type of treason, it is necessary to show that the action complained of was ‘unjustified’. Concurring with his fellow judges, Neuberger said: ‘In all the circumstances, the prosecution has failed to show that the defendants’ actions were unjustified’. There was widespread agreement with the verdict, though Sir Robert Worcester, Chairman of the Magna Carta Anniversary Committee, said the decision was ‘far from inevitable’. But he said it shows how the bravery and determination of those barons eight hundred years ago ‘rings down the centuries as a justified act of rebellion’. ‘Those of us living today in democracies which take the rule of law seriously are reaping the benefits of the barons’ bold demonstration against King John’. Professor David Carpenter, who played Baron FitzWalter and served as a historical advisor for the event, felt the country could have been spared the subsequent civil war, had the barons not humiliated the King after Runnymede, but agreed that the verdict broadly supporting Magna Carta was ‘absolutely right’. However, Anderson, as you would expect, stood up for the King whom he said have been ‘astonished and possibly enraged’ by the verdict, and would be considering what further steps he could take to deal with the judges and the barons who defied his authority. Esler reminded the audience, in an eilogue to the ficticious trial, that the 1215 Magna Carta did not last. The Pope annulled it by papal bull and declared it ‘shameful, demeaning, injust and obtained under duress’. Magna Carta was only saved by the deaths of the Pope and King John himself. His heir was a nine-year-old boy, Henry. The loyal barons elected William Marshal as Regent, who crowned the boy as King and immediately reissued the Charter under his own seal. It doesn’t end there – the Charter was rejected and the war continued. At Lincoln in 1217, forces led by Marshal defeated the French and the rebel barons. Thereafter Marshal again reissued the Charter and it is that which was first called Magna Carta. So, I guess that means we get to do all this again in two years’ time. * A video of the proceedings will be available on the UK Supreme Court website later this week. Can an Oscar-winning playwright and a former Eastenders actor succeed where placard-waving lawyers have failed, in drawing to the public’s attention the devastating impact of the legal aid cuts? 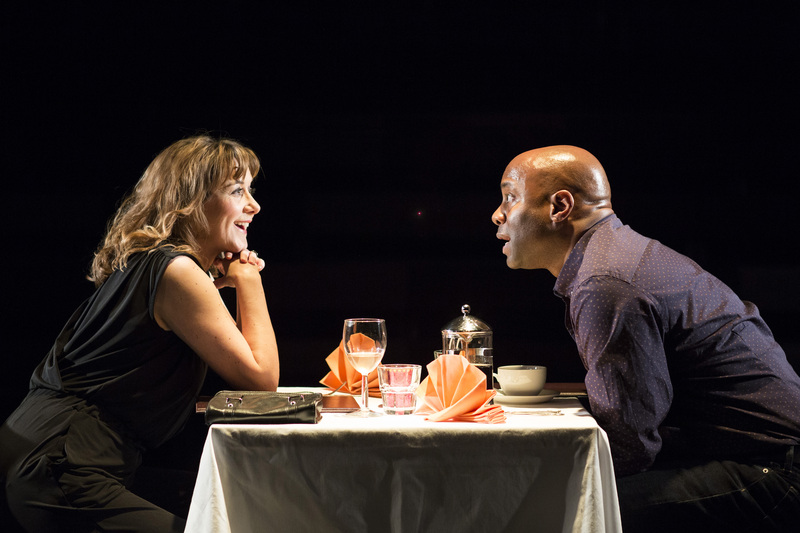 Far from the glamorous, high-octane legal world portrayed on the small screen in dramas like Silk and Judge Deed, Rebecca Lenkiewicz’s play is more mundane. It centres on the travails of an over-worked, underpaid, middle-aged housing and immigration solicitor, battling to help marginalised and increasingly desperate clients and keep her London law centre open in the post LASPO (Legal Aid Sentencing and Punishment of Offenders ACT 2012) era. The drama plays out on a sparse set with copious pages from legal aid application forms dangling like bureaucratic bunting overhead. Through the stories of three troubled souls in need of legal help, the play’s sometimes laboured dialogue attempts to demonstrate the impact of the cuts on those denied access to legal advice and on the tough but caring lawyer, Gail, portrayed ably by Alexandra Galbraith. The background is, for the most, well researched and attention to detail is good, though the occasional error or exaggeration creeps in. Contrary to the dialogue, the legal aid budget has not been cut by two-thirds, judges have not gone out on strike in protest over the cuts and struggling supermarket giant Tesco has not indicated a desire to diversify into legal services. In seeking to get across the worthy message that the cuts are bad, the theme in the two-and-a-half- hour performance is at times hammered home rather too forcefully. And with no countervailing voice, the play, which is sponsored by the Law Society, leaves itself open to be dismissed by the Daily Mail’s Quentin Letts as an ‘advertorial’. Particularly as the wife of the theatre’s artistic director, Mandani Younis, is a criminal defence lawyer in Bradford. The scenes are interspersed with curious music and movement and, while the characters are somewhat caricatured, the acting is good. 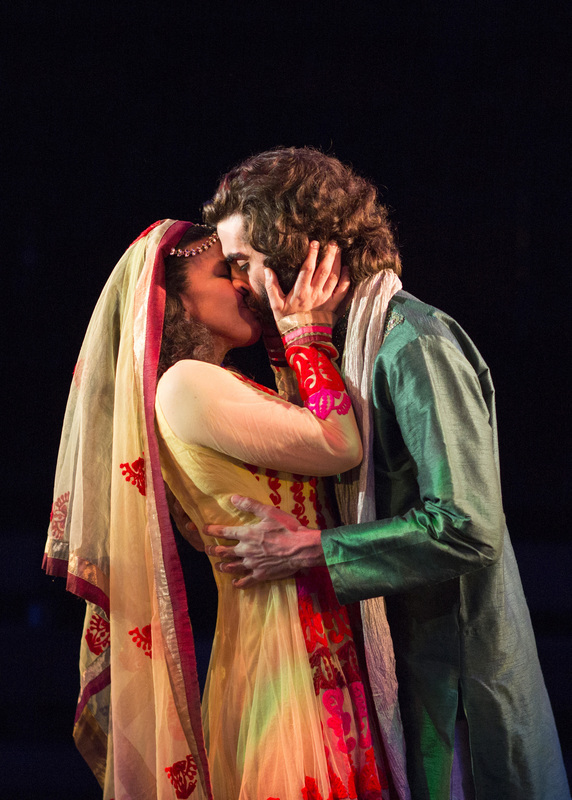 Although oddly, Sirine Saba plays a battered Pakistani wife with a Pukka English accent for most of the play before switching to an Asian cadence in the scene when she is driven to seek help. And there is a stereotypical portrayal of the medical profession’s equivalent of a fat cat lawyer – an ageing, pompous quack – that the legal aid lawyers would baulk at if they were depicted in a similar style. Lenkiewicz, whose play Ida won best foreign language film at the recent Oscars, ultimately runs up against the problem that has hampered lawyers from getting their message across – finding the right cases to get the middle classes and Red Top readers to sit up and take notice. The protagonists – an elderly drunken Irishman struggling to pay his rent, a father (Nicholas Bailey, best-known for playing Dr Trueman in Eastenders) denied access to his children after cheating on his wife and a Pakistani immigrant abused and enslaved by her husband and mother-in-law – are unlikely to do so. Whether Lenkiewicz succeeds in spreading the word depends on whether the play is seen by an audience wider than legal aid lawyers and Guardian readers. I recognised a large number of the bums on seats the night I went. But there had been a discussion beforehand attended by leading legal aid lawyers, so the audience may have been unusually over-lawyered. 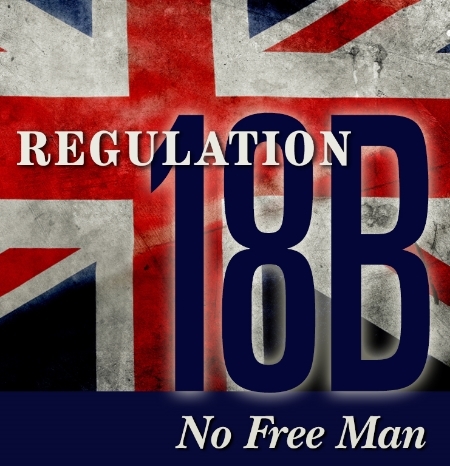 Who would have thought that a play penned by a Yank employment lawyer about a 75-year old House of Lord’s judgment and staged one balmy evening in the rarified surroundings of Gray’s Inn, could be remotely relevant today. Yet the fundamental issue of the power of the executive and the judiciary’s ability to check it raised in this one-act drama remain all too pertinent. The drama is set on the evening before the House of Lords is to give judgment in a case concerning a British Jewish businessman who went by the name of Robert Liversidge. Liversidge had come to the attention of the authorities. Under Regulation 18B of the Defence (General) Regulations 1939, the Home Secretary, Sir John Anderson, ordered him to be interned on the basis that he had ‘reasonable cause’ to believe he had ‘hostile intentions’. In the case, an elderly Lord Atkin, of Donoghue v Stevenson fame, gave a powerful dissenting judgment arguing that the regulation required the Home Secretary to have an objective reason to detain a person under the power. ‘I protest, even if I do it alone,’ he sad solemnly. Atkin criticised his fellow judges in upholding the Home Secretary’s reading of the power, as showing ‘themselves to be more executive-minded than the executive’ and compared Anderson himself to Humpty Dumpty. He quoted Humpty’s words in Lewis Carol’s Through the Looking Glass: ‘When I use a word…it means just what I choose it to mean, neither more nor less. ‘The question is, said Alice, whether you can make words means so many different things. And that sums up exactly the tension between court and state. First staged in Cookham in the Maidenhead constituency of the current Home Secretary Teresa May, the play is the work of Scott Wright, partner and head of the labour and employment team at US firm Faegre Baker Daniels. In it he imagines a meeting on the evening before the judgment between Atkin and his friend Lord Wright (no relation to the writer). Wright attempts to persuade Atkin at least to tone down some of views, warning him that he does not want to end up ‘on the wrong side of history’. Performed under the gaze of a portrait of Lord Atkin himself and in the presence of some of his grandchildren, the play in the year of the 800th anniversary of Magna Carta is a timely reminder of the need for the courts to stand up to the executive. As successive Home Secretaries seek to expand their powers in the unofficially declared war on terror and the government seeks to scrap the Human Rights Act, the role played by an independent judiciary is crucial. In his dissenting judgment, Atkin is clear: ‘In this country, amid the clash of arms, the laws are not silent. They may be changed, but they speak the same language in war as in peace. In a discussion that followed the play, Angela Patrick, director for human rights policy at campaign group Justice, noted that it is the difficult cases that define a society. ‘Human rights and the rule of law are there for us all, in good times and bad. 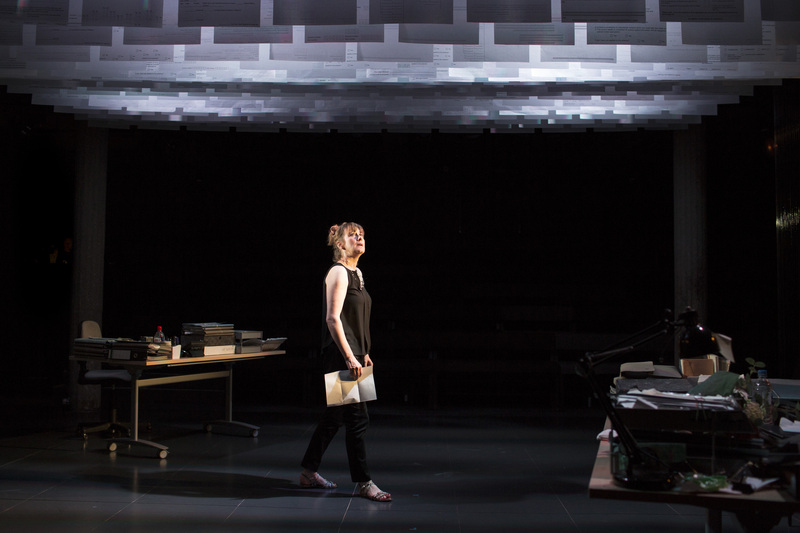 The play – and the Atkin dissent — weren’t important because of Liversidge, but for what they have to say about how we as a community stick by our principles when times get tough,’ she said. And that is set to be tested by the Supreme Court in November when it considers the linked cases of Rahmatullah and Belhadj, which concern the alleged actions of the British government in the rendition and torture of two foreign nationals. The question prompted by Humpty’s remark: who will be the master? * The playwrite tells me there may be more performances in the autumn.